Don’t take a dog bite lightly. Whether you’re at the Longhill Dog Park in Dover, the Derry Dog Park, the Hooksett Rail Trail, or just out for a little walk, keeping Fido on a leash keeps everyone safe. The Centers for Disease Control & Prevention report that over 4 million Americans are bitten by dogs every year, with nearly a million needing medical attention, some in the emergency room. About half of these cases are children. (About 80% resulted in no injury, just a scare.) In addition to injury, dog bites can also spread germs that can cause infection, some of them severe. Occasionally, dog attacks are fatal, especially with larger dogs and small children. Dogs collectively known as “pit bulls” are reported in the news when a bite attack occurs. But the truth is any dog, no matter what breed or mix of breed, can bite if the conditions are right. (Only 5% of the dogs in the US are actually true “pit bulls.”) Large dogs that bite and are taken by animal control are frequently incorrectly identified as “pit bulls” due to misunderstanding the term. But dog-related injuries can happen with any kind, large or small. Bites frequently happen to people who are known to the dog—family, friends or neighbors. Guard dogs trained to protect the home and family, such as German Shepherds, may react aggressively to new visitors or sudden changes in an environment. As a dog owner, you have a duty to protect visitors and guests from the possibility of dog bites and other related injuries. You can also suffer a dog bite from a Pug, Pomeranian or any manner of mixed-breed dog you adopt from a shelter. Any intact dog, not spayed or neutered, is more prone to aggressive behaviors than an altered dog. In addition to health benefits, spaying or neutering your dog early curbs aggression and keeps them from learning it. Nipping or biting during play (avoid rough play to ensure you don’t overly excite your animal). Dog owners have a duty to keep visitors safe from the possibility that their dog might bite them, even if the dog has never bitten previously. 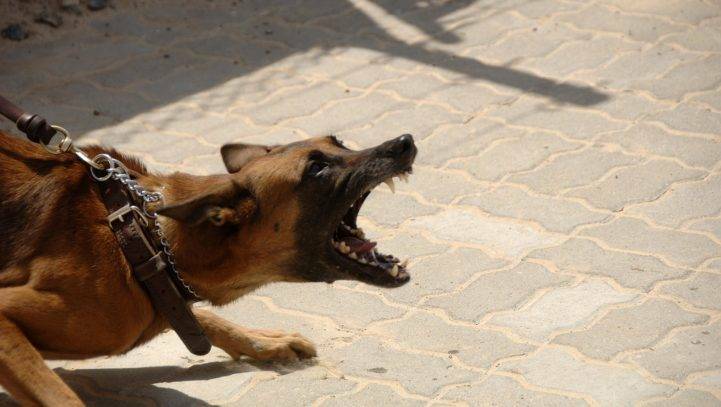 If the dog is known to be somewhat aggressive, the owner should restrain, cage or leash the dog to prevent bites or attacks. Failing to restrain a potentially aggressive dog that results in a bite or attack can lead to a claim for damages against the owner, or the homeowner’s insurance policy. The state has specific laws regarding dog bites, including both personal injury law and premises law. The law specific to dog injuries is contained in section 466:19 of the New Hampshire Revised Statutes. New Hampshire’s strict liability also includes liability to the owner from injuries caused by the dog, even if it isn’t specifically a bite. (This includes damages to other animals, such as livestock, another dog, cat or other pet.) In one famous New Hampshire case, (Bohan v. Ritzo, 141 N.H. 210, 218 (1996)) a dog’s owner was held liable after the dog scared a cyclist and caused a crash, resulting in multiple severe injuries to the cyclist. The exception to the law is if an individual is unlawfully on someone’s property. If you’re trespassing or committing another wrong when you were bitten or otherwise suffered injuries, you can’t file a claim or collect damages. New Hampshire law has a three year statute of limitations. That means from the date of the incident, you have three years to file. After three years, your claim is dismissed. Dog bites can be painful, dangerous and sometimes disfiguring. Homeowner’s insurance carriers will try to settle your case for as little as they can get away with. But if you’re trying to heal from a dog bite or attack, you need compensation to help you recover. Don’t let anyone talk you into accepting a quick settlement. Call us. We’ll fight to get you the money you need to recover from a dog bite or other dog-related incident. If you’ve been bitten by someone’s dog because of their negligence, we’re ready help you get the compensation you deserve. Contact us today at (603) 224-6999 (or use our contact form.) We’ll schedule a free 30-minute consultation to discuss your case, and let you know how we can help you.